The human resources officer — whose hiring must be approved by a bipartisan committee — will also coordinate workplace conduct training in the chamber. 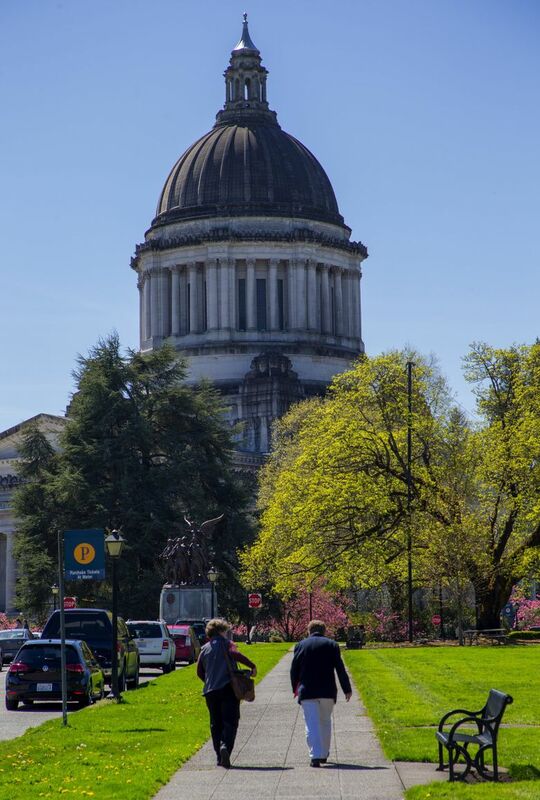 OLYMPIA, Wash. (AP) — A Senate committee approved a recommendation Monday to hire a nonpartisan human resources officer who can independently investigate complaints of harassment or discrimination in the chamber, though any disciplinary actions would still fall to Senate administrators. The unanimous vote by the Senate Facilities and Operations Committee followed recommendations by a bi-partisan Senate task force formed after the rise of the #MeToo movement. The movement gained national attention last October after allegations of sexual misconduct by Hollywood producer Harvey Weinstein began dominating the headlines. Since November, more than 200 women — including lobbyists and a bipartisan group of more than 40 lawmakers — have signed a letter calling for a culture change at the Washington state Capitol. The revised Senate policy approved Monday allows employees to continue to report complaints directly to Senate administrators — the current policy — instead of the human resources officer if they choose, though officials say the human resources officer will be looped in on complaints. The human resources officer — whose hiring must be approved by a bipartisan committee — will also coordinate workplace conduct trainings in the chamber. A Senate task force of legislative assistants and professional staff from both parties, as well as a nonpartisan committee staffer, met more than a dozen times since January to review the chamber’s workplace policies. Secretary of Senate Brad Hendrickson said that he would still be involved in the process to the extent that either the chamber counsel or new human resources officer could determine that an investigation would require additional resources. In that case, as both the House and Senate have done in some circumstances, an outside investigator could be hired. In cases where a senator warranted disciplinary action, the secretary of the Senate or the Senate F&O committee would take final action on recommendations such as limiting staff access or removal from a committee. If a disciplinary recommendation were more severe, such as censure or expulsion, the full Senate would need to act. Under the policy, once an investigation is completed and any appeal of that findings is completed, the investigation would be released publicly if the case is deemed “in the public interest” — such as involving a senator. The policy states that the confidentiality of those lodging the complaints would be maintained. Monday’s vote comes just over a month after a package of bills meant to address sexual misconduct at the workplace became law, including one that prohibits nondisclosure agreements that prevent employees from disclosing sexual harassment or assault and another that directs the Human Rights Commission to create a work group to develop policies to keep workplaces safe from sexual harassment. The House has created its own work group that includes staff, lobbyists and lawmakers, though that group’s recommendations aren’t expected until the end of the year. An internal House group had already been working on updating the chamber’s overall workplace harassment rules since last year. In June, an outside investigation found that Democratic Rep. David Sawyer sent a House employee multiple “inappropriate and offensive” text messages over a period of three months. A summary of the report released last month also said that he made comments and jokes about another House employee’s sexual orientation, and used employees’ time to discuss a newspaper’s investigation into sexual harassment allegations against him. Sawyer, who has since resigned as chairman of the House Commerce and Gaming Committee, is running for re-election in November. Nelson, who said she was unaware of any harassment complaints in the Senate, said that the policy may be tweaked in coming months based on suggestions they received from lawmakers, lobbyists and the task force, as well as potentially incorporating any recommendations that ultimately come from the House. “It’s going to be an ongoing process,” she said after the vote.